Quickness: Sullivan's Kell Williams (L) attacks his opponent during match action at 182 lbs. 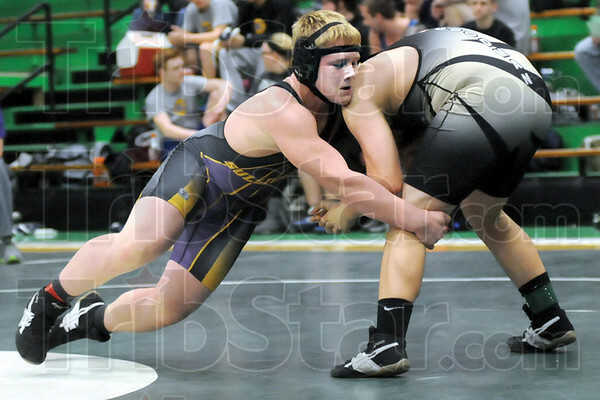 against South Vermillion's Aeron Goodman. Goodman eventually won the match.